For more than 15 years, FCT ACTech has been in the business of engineering better process control. Their first breakthrough product, COSMA, an XRD based online mineral analyzer, proved to be extremely effective by performing real time analysis and control of clinker and cement blends. Now with FLX and FLX+, the way quality is controlled has taken another big step forward. 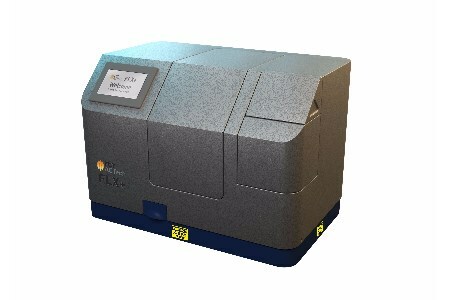 Using XRD analysis techniques, the FLX’s state-of-the-art technology enables large samples of approximately 225 grams (1/2 pound) to be tested every five minutes. This provides more accurate analysis and better process control whilst reducing fuel wastage, energy consumption and eliminating laborious and inefficiency tasks. The FLX+ features the same ground-breaking technologies employed in the FLX range, plus full spectrum XRF based elemental analysis. This allows the operator a more thorough analysis and calibration of the process in general and cement blends in particular. Unique sample delivery system eliminates human error and ensures accurate XRD element analysis in the FLX, plus XRF element analysis in FLX+ models. Patented technology integrates grinding and sample presentation into one seamless automated process (with optional grinder attachment). Fast analysis in just minutes. Can be used intermittently as an online analyser. Small and lightweight profile for easy portability and setup. No chemical disposal required, greatly increasing efficiency and effectiveness of plant operations. Uses standard wall outlet power. Large sample size feed-in (approx. 225g - 0.5 lb). Self-calibrating system (no external calibration required). Modbus TCP for direct transfer to plant PLC + control screens. Touchscreen interface for easy operation. Low power X-ray system decreases heat and power. Customers are fully supported by process engineers who have extensive industry experience. They design and manufacture the technology that they know would have made profound improvements to the operations of the Plants they once worked in. When you purchase an FCT ACTech product, you get local support and a global network of experts and professionals with intimate industry knowledge, including plant design and operations, plant debottlenecking, quality and process control. For more information about the FLX and FLX+ Free Lime Analysers, contact FCT ACTech via info@fctinternational.com, visit www.fct-actech.com or call AUS +61 8 8352 9948, EU +43 664 39 20 330 or US +1 8587744150.